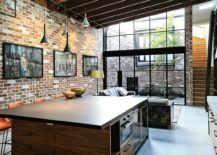 Adaptive reuse does much more than just save historic buildings and cut back on construction costs and wastage of resources. 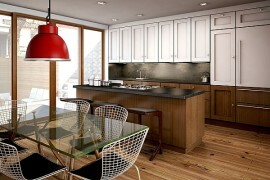 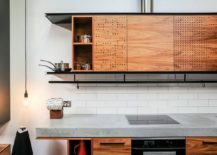 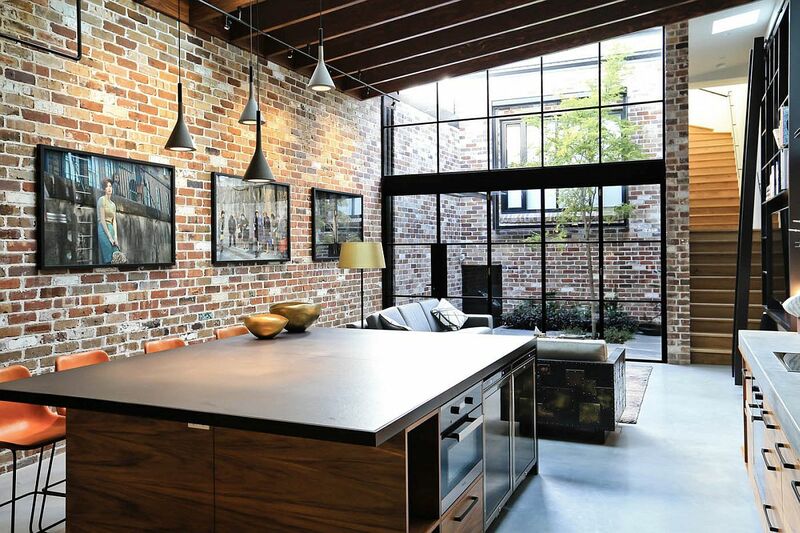 It is undoubtedly the biggest reason for the newfound love of all things ‘modern industrial’. 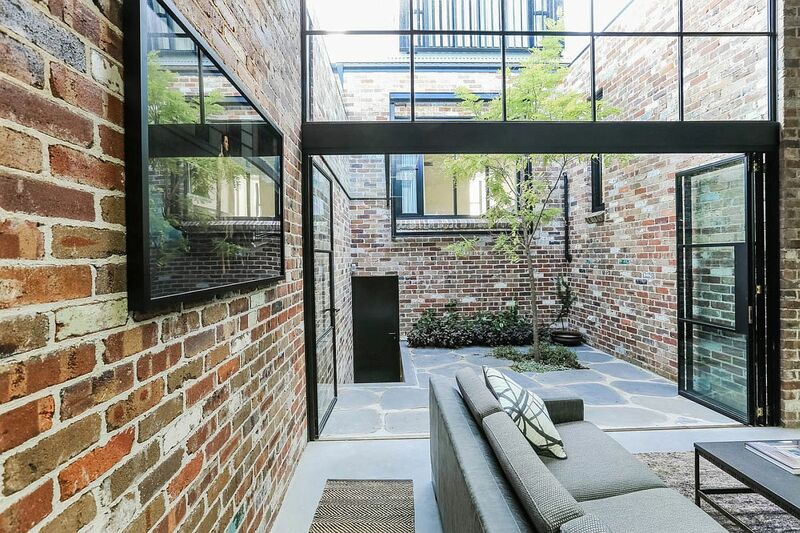 It is old factories, warehouses and abandoned industrial buildings being turned into gorgeous apartments and homes that has seen a revival of a style forgotten by the 90’s nestled in Darlinghurst, a beautiful suburb of Sydney, this bright and ingenious home was once a forgotten garage that is blessed with a heritage street façade and ample space on the inside. 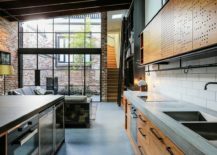 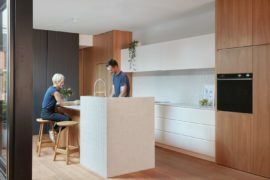 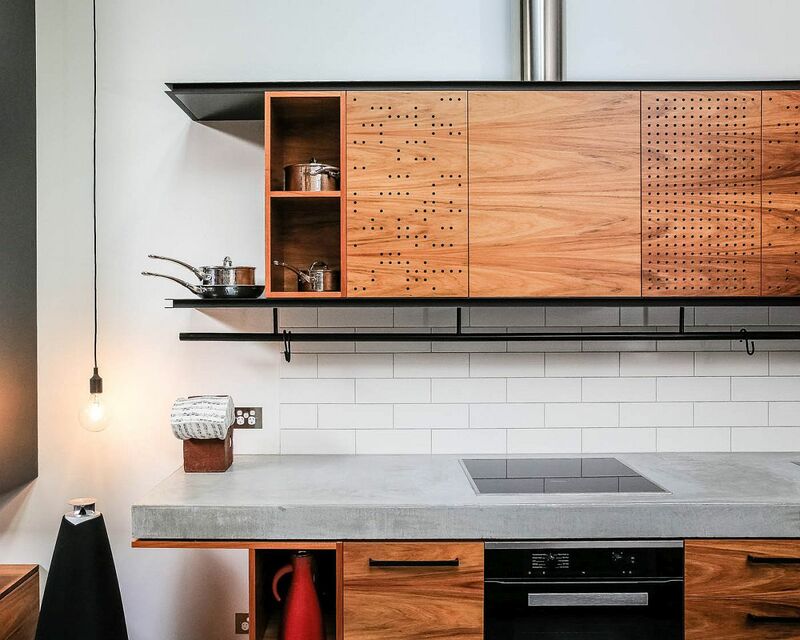 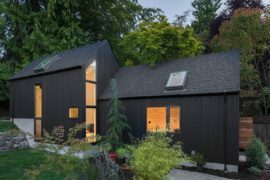 Despite being constrained by the narrowness of the lot, Sam Crawford Architects managed to etch out a cheerful and seemingly spacious modern home by tapping into the vertical room on offer. 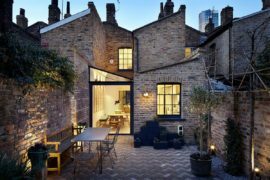 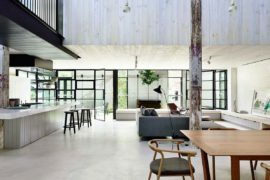 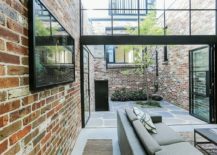 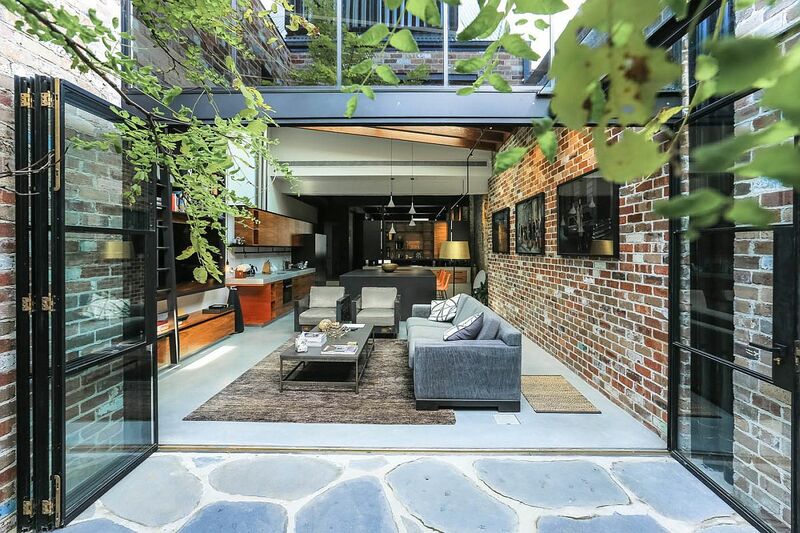 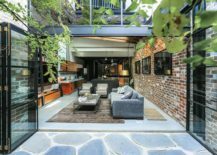 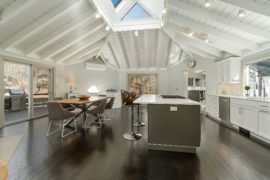 Original industrial elements of the home were kept intact and enhance while the street façade was left untouched because of the heritage rules. 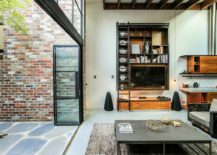 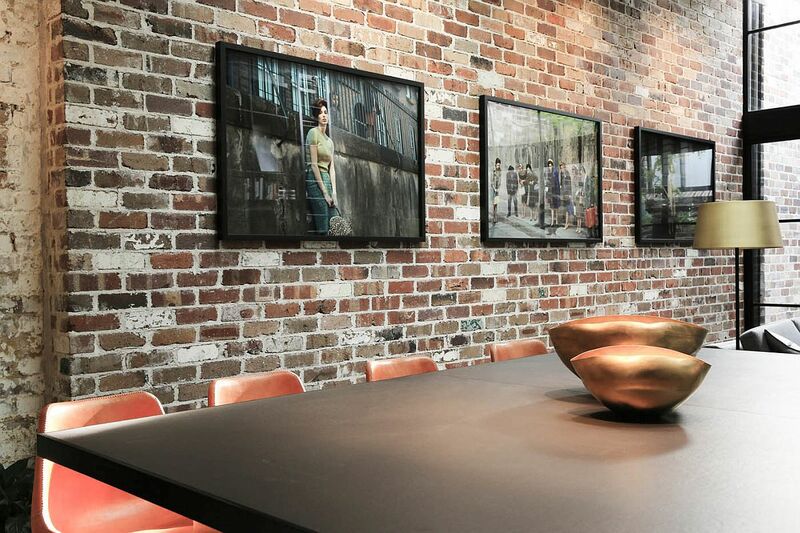 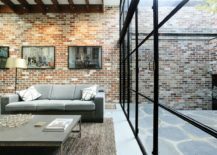 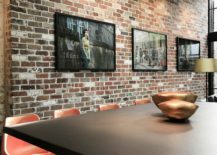 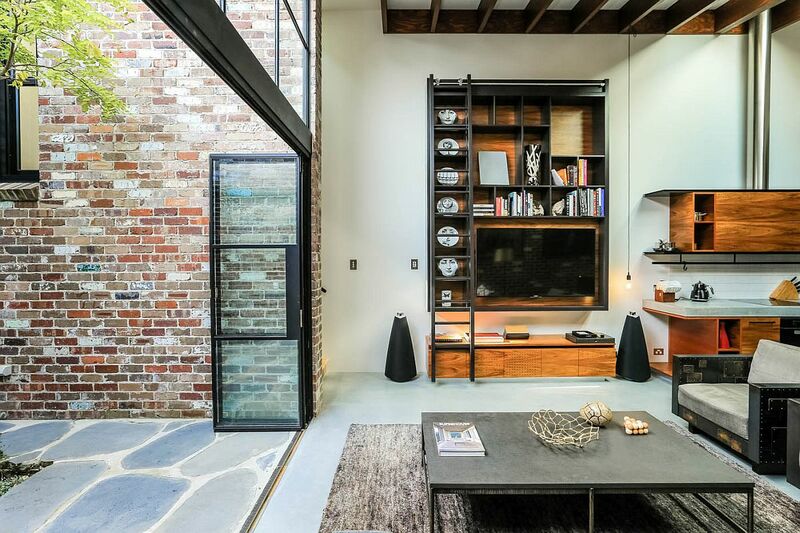 Exposed brick walls define the living area even as dark steel elements, industrial-style windows and wooden ceiling beams are intertwined with comfortable modern décor and polished finishes. 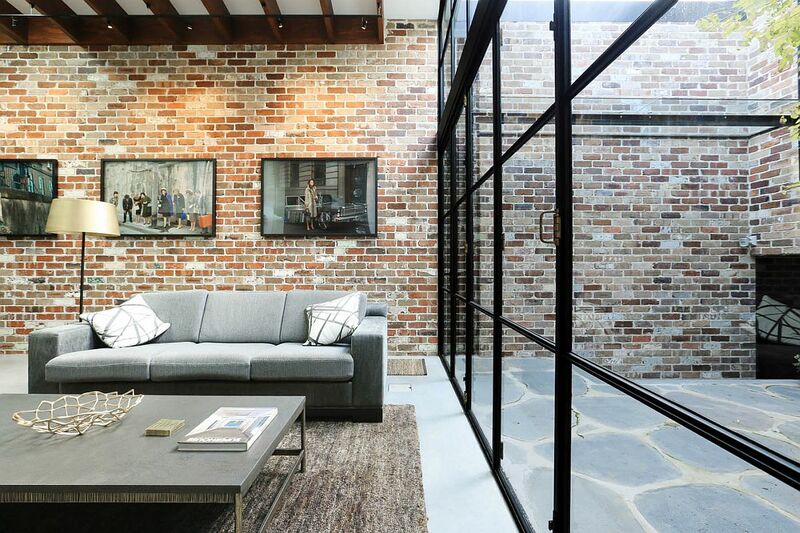 Turning an Old Garage into a Backyard Home for the Elderly: Smart Makeovers!